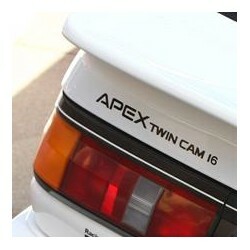 The reproduction stickers are near identical copies of the original stickers used on the various AE86 models. They are made of high quality durable colored foil and can even survive multiple times an automated car wash.
Toyota OEM Sticker copies There are 15 products. 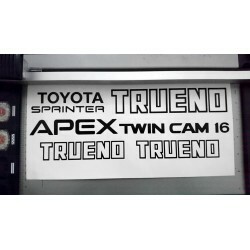 You can find all JDM Toyota Sprinter Trueno AE86 stickers grouped together in this category. 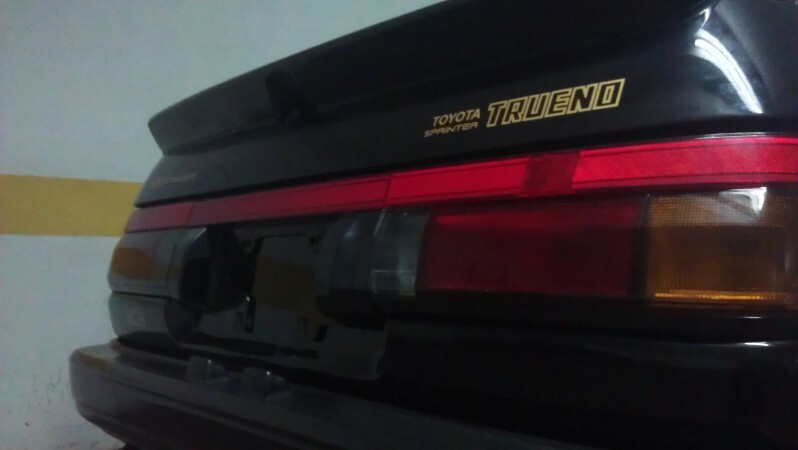 We feature the standard lineup of the Japanese Trueno AE86 stickers, but if you find anything missing here we could see if we can make a custom copy of that particular sticker as well. 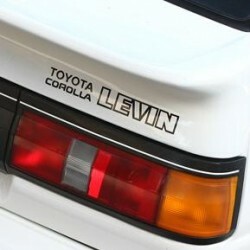 You can find all JDM Toyota Corolla Levin AE86 stickers grouped together in this category. We feature the standard lineup of the Japanese Levin AE86 stickers, but if you find anything missing here we could see if we can make a custom copy of that particular sticker as well. 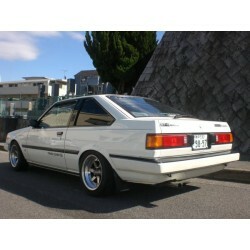 You can find all USA and European Toyota Corolla AE86 stickers grouped together in this category. We feature the standard lineup of these stickers, but if you find anything missing here we could see if we can make a custom copy of that particular sticker as well. You can find all JDM Toyota Carina A60 stickers grouped together in this category. We feature the standard lineup of the stickers, but if you find anything missing here we could see if we can make a custom copy of that particular sticker as well. 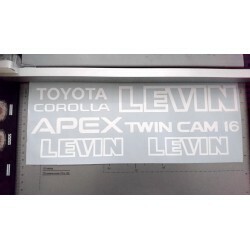 This JDM Corolla Levin AE86 full sticker / decal set contains all stickers you need on the bootlid and side mouldings. 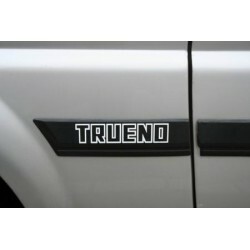 These reproduction stickers are made of high quality durable colored foil. It can even survive multiple times an automated car wash. 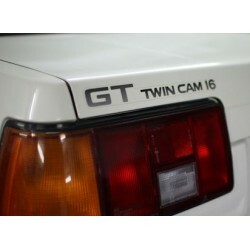 This JDM Twin Cam 16 sticker is normally placed on the (rear) doors of the Toyota Carina AA63. The reproduction sticker is made of high quality durable colored foil. It can even survive multiple times an automated car wash.